1. I suspect there must be an interesting backstory with RESET, where did you get the idea for this story? Once upon a time, I was having dinner with someone who’s plugged into real life X-files investigations around the world. He made a strange comment, almost in passing that he’d heard the Army had found a bizarre piece of tech in Afghanistan in 2002 while looking for Osama Bin Laden in the Tora Bora cave complexes. I asked him what it was and he shrugged, saying only that it was determined to be very old but contained advanced technology. Intrigued, I started asking questions around my network, but I didn’t get any hits. Next, I contacted a Canadian photo journalist who embedded with the 10th Mountain Division (the shooters spelunking the actual Tora Bora caves), but he said he’d not heard anything of the sort. Eventually after hitting enough dead ends, I decided to stop digging. But the germ of the idea stuck with me, nagging my author’s brain and not letting go. I started asking myself questions like: What if the Army really did find an orb with advanced technology in a cave? What could it be? Where might it have come from? What is its purpose? In brainstorming these questions, RESET was born. 2. Let’s chat mind control and tin foil hats. This novel is almost theatrical in nature, with some “high concept” elements. You’ve pecked a lot in here: mind control, armageddon devices, the 6th Extinction, and a “men in black” style government conspiracy that could control the fate of the world. Can you speak to this? RESET was described on TOR.com as being a genre-bending novel. I think this is the perfect description. I’m most drawn to stories with what I would call “near-term” science fiction elements—technologies that exist now, but are only in an embryonic stage of development. Artificial Intelligence is a perfect example of this; there are millions of possible scenarios that could unfold as AI matures, but we can only speculate about which will come to fruition. It is this speculation that drives my novels. Mind control technology is the core theme of RESET. As an author, the natural temptation is always to try to “save” your best ideas for the perfect time in the perfect story so you don’t waste them—kinda the literary equivalent of not wearing your favorite shirt so it stays nice. 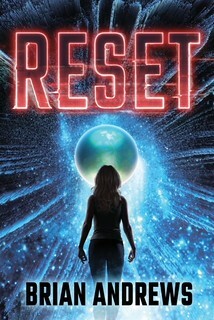 RESET is the novel where I finally came to my senses and pulled our every cool idea I’ve ever wanted to showcase in a book: Mind Control, Parasitic Organisms, the discovery of Alien Technology, Underground Bunkers, Doomsday Preppers, a crazy old Conspiracy Theorist, and DARPA (of course). What I ended up with is a story that pays homage to conspiracy theory lore of the past three decades while feeling both nostalgic and fresh. And yes, I even found a way to work in the proverbial “tin foil hat” into the plot, but in this case the tin foil hat is a Faraday Cage helmet designed to stop nefarious Transcranial Magnetic Stimulation (TMS). Yes, mind control is real folks…just look up TMS and Duke University and you’ll find reporting on actual research that will make you shiver in your chair. 3. RESET has an incredibly strong female cast, with Army wife Josie Pitcher emerging at the novel’s true hero. Can you speak to this?. In writing this story, I fell in love with all the characters, but probably to Josie Pitcher the most. Josie embodies the type of heroine the world needs today, someone who is compelled to action by curiosity, loyalty, and courage, rather than self-interest and ego. Josie is no Atomic Blonde or Jessica Jones throwing punches and kicks; her weapons are the ones real heroes use to fight their battles—her wits, her power of persuasion, and her courage to act in the face of impossible odds. With RESET, I wanted to take Superman saving the damsel in distress storyline and flip it on its head. In RESET, you start by meeting this tough as nails 10th Mountain Army ranger who seems like he’s unstoppable, until suddenly he’s not and the only one who can save him is his young, tenacious Army wife. Ultimately, the fate of the human race rests on Josie’s shoulders…but that’s all I can say! 4. 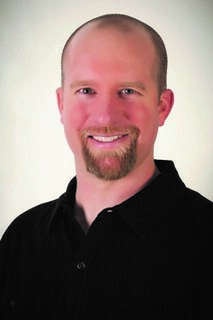 I noticed that the audiobook was performed by the voice actor Ray Porter who also reads your TIER ONE series. Can you speak to his performance on this book? 5. One final question: The ending of this book has been described as an OMG event reminiscent of M. Night Shyamalan’s early movies. Can you talk about this without spoilers? RESET has the biggest twist of any novel I’ve ever written and yes, the reveal comes in the very last “two” chapters. I would call this a double-barrel twist, the first twist begetting a second twist that, I’m not sure has been done before. That particular comment you referenced from Charle DeLint with the comparison to an M. Night Shyamalan ending is high praise. There’s also a certain poetry to the ending of RESET. I use the symbolism of a Celtic Knot in the novel several times, an intertwining with seemingly no clear beginning and no clear ending—everything comes full circle. I can’t wait to hear reader’s reactions!